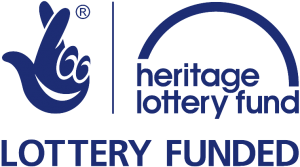 Walking Heritage is a Heritage Lottery Funded project for Sandwich, led by writer and academic Sonia Overall of Canterbury Christ Church University, and supported by BASH. Walking Heritage explored the secret history and heritage of the streets of Sandwich through a programme of walks, workshops and trails in August and September 2016. The project also produced new maps and publications to help visitors and locals get the most out of walking the town, including a ‘not the blue plaque tour’ of Sandwich and a book of quirky suggestions for self-led discoveries, ‘Walking Sideways in Sandwich’. As well as drawing on Sonia’s work in Creative Writing at CCCU, the project was supported by experts from the Sandwich Local History Society, English Heritage, the Royal Geographical Society and walking artist Phil Smith of Wrights & Sites. Pop-up info points appeared at the start of each walk. All walks and workshops were free with no booking required. View the drop-down menu ‘walking heritage events’ for details of the walks and walkshops. download the leaflet WAYS TO WALK - fun ways to explore Sandwich (and elsewhere) for families, compiled by Sonia Overall. See the Walking Sideways in Sandwich publication below for more ideas. download the booklet WALKING SIDEWAYS in Sandwich - adventures in walking by Sonia Overall, with further provocations by Phil Smith. NB this is a 17MB file. download the GHOST PUB CRAWL of Sandwich map - a trail of the lost pubs of Sandwich, compiled by Sonia Overall. A guided version of this trail with readings took place on Monday 22nd August. You can also pick up a copy of this trail in the Admiral Owen pub, where the route starts. download the accessible DISCOVERING SANDWICH trail - based on the Royal Geographical tour, adapted by Sonia Overall. download the READING BUILDINGS map - architectural highlights from the guided walk on 9th September with John Hennessey, Rowena Willard-Wright and Sonia Overall. download the NOT THE BLUE PLAQUE TOUR of Sandwich - the bits of heritage you don't usually find in guidebooks, compiled by Sonia Overall. NB:This is a folded 6 page leaflet. To print onto a single A4 sheet, select 'shrink oversized pages' from your printer menu. FREE paper copies of the Ghost Pub Crawl, Not the Blue Plaque Tour and Walking Sideways in Sandwich booklet are available for self-led walks from the Sandwich Tourist Information Centre. You can leave online feedback for this project using mentimeter. Using the dropdown menu, click on the walk you wish to give feedback on and follow the instructions. You are also welcome to send feedback using our contact form.